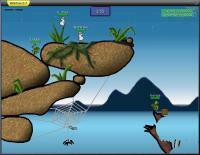 Almost everyone has heard of the Worms(R) series of games, developed by Team17. games in this genre, including Scorched Earth and Liero. from the Internet, making strategy an important part of each battle. goals. So, start downloading today, and fight to become king of the garden!